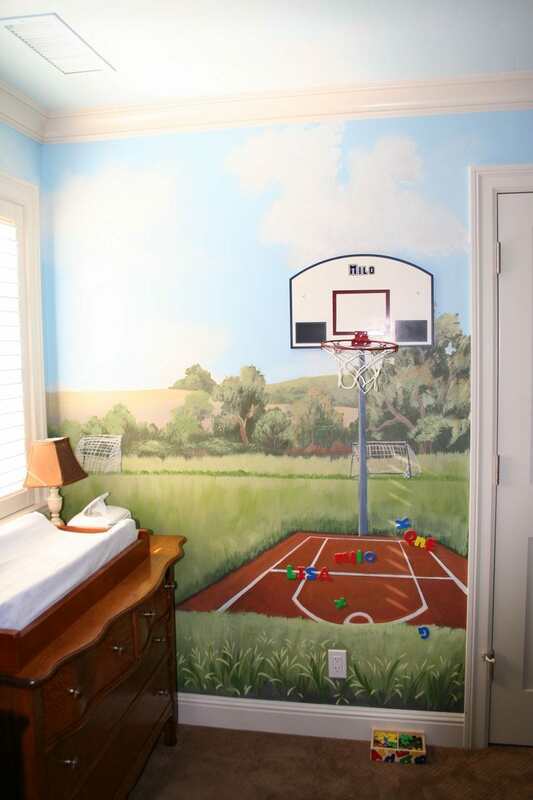 This client wanted a “boys paradise” for her two year old son. 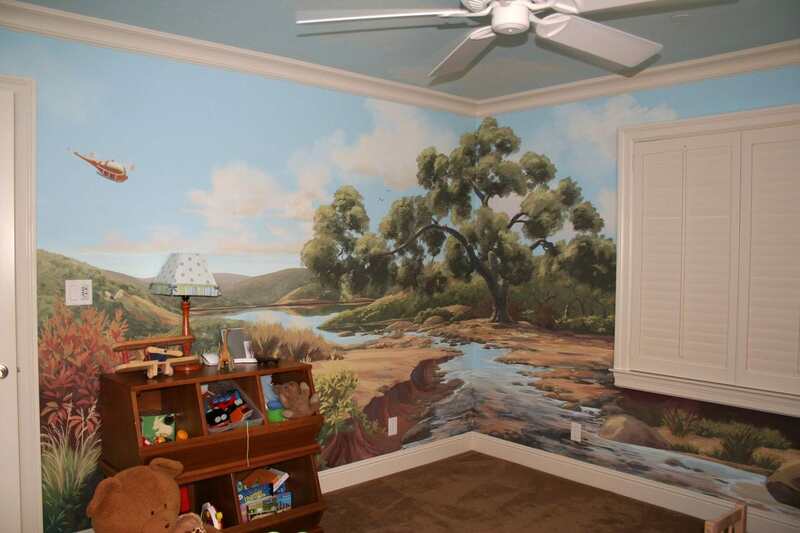 She set me loose on this room with only a few parameters: peaceful nature, plus some great boys stuff thrown in. 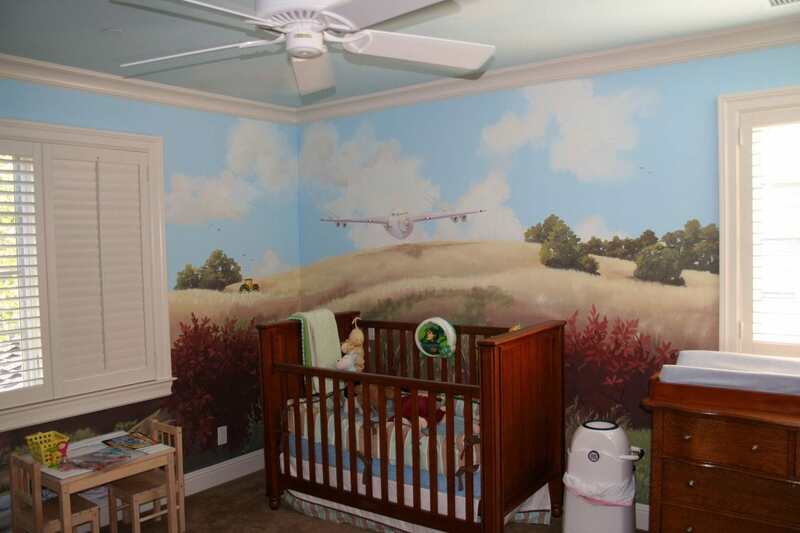 The hand-painted mural includes a basketball court, a baseball diamond, football and soccer elements, as well as a plane, and tractor. Trees and the natural environment tie all the walls together, with a reservoir and stream dominating two of the walls to create a simultaneously vibrant and relaxing room to spend time in.